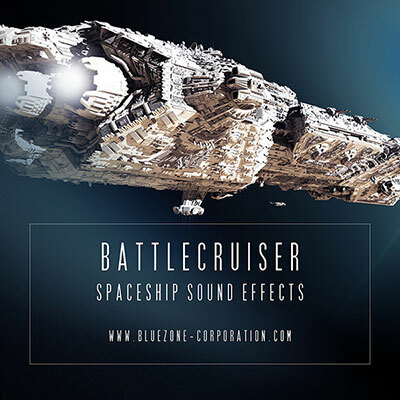 Bluezone Corporation releases 'Battlecruiser - Spaceship Sound Effects', a new sound library covering a wide range of designed SFX. This downloadable sample pack is loaded to arm all sound designers with an arsenal of 154 meticulously designed spaceship elements such as: Alarms, command center ambiences, deep exterior and interior ambiences, machine room backgrounds and drone sounds, energy elements, high tech interface sounds and beeps, massive reactor rumbles, explosions, spaceship passby and transmission sounds. All files are named and sorted thematically. In order to give you ready-to-use sounds for your productions, all samples are royalty-free for all your commercial projects.